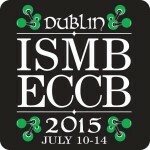 Two poster abstracts of the Bioinformatics group have been accepted at the ISMB/ECCB 2015: Riemenschneider et al. : Multi-label classification for HIV-1 drug resistance prediction Neumann et al. : Non-invasive multivariate prediction model for myocardial infarction Looking forward to Dublin!